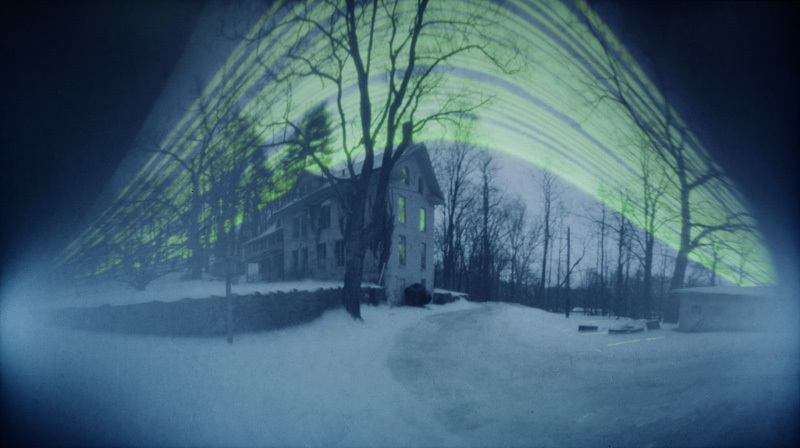 This photo is a solargraph – solargraphy (or solarigraphy) is the practice of making very long exposure pinhole photographs, usually including the sun. The long exposures show the path the sun takes across the sky, making it easy to see how the sun is lower in the sky during the shorter days of the year. I learned of this practice first from Jesús Joglar and Johanna Moore, and later Diego Lopez Calvin, all of whom gave me generous support and advice. I made a few tests last winter (of which this is one) and based on those I decided to make a bigger project – now I’m in the middle of making and editing a solarigrafía survey of Hunterdon County, New Jersey, where I live. i like your work and writing, the story is intriguing!